Fire Engines Photos - Whoops! 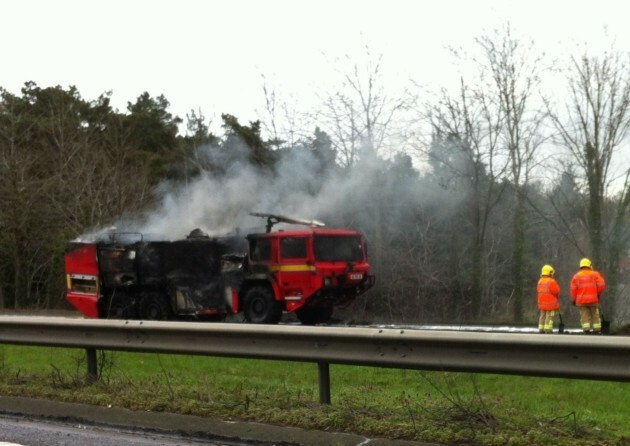 21/04/2013 on the A14 near Ipswich, this is the RIV from Army Air-station at Wattisham, Suffolk after it went on fire during a roadtest. Suffolk Fire and Rescue attended. Unluckily the fire prevented the crew getting at the extinguishers in the lockers. Added by Rob Johnson on 30 June 2014.